As bustling Millennials, we are soon reaching our earning prime and it’s suddenly a question of where to scan our Apple Pay and which remote island to check off the bucket list next. Learning more about the habits of soon to be one of the largest generations, it’s proven that when Millennials splurge, experiences far outweigh material possessions. Our high-speed society induces a sense of urgency and FOMO, the acronym for fear of missing out. 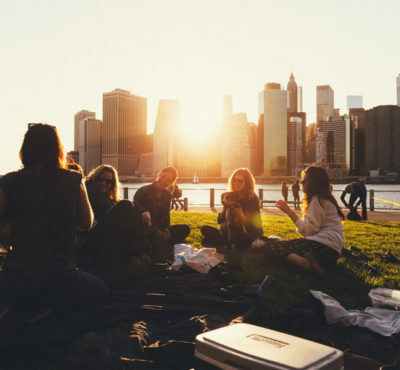 Millennials driven by social media, are now more than ever searching for balance and happiness through experiential travel. Only 10 percent of our demographic according to a recent Skift survey, use travel agents to book vacation. Many are booking through online channels based on experiences alone, influenced most by close friends, networks and engaging brands. The perks of tweeting and interacting with our favorite hotel brands might generate a nice upgrade or simply satisfy our infatuation with social media stardom. As early adopters, we are dialed into the latest travel trends, seeking cultural immersion beyond the UNESCO World Heritage Site lines, and will naturally update our status through those real-time experiences. Out of office alerts are now more carefully planned and opportunity-driven. It’s no longer about escaping early for Taco Tuesday or flaunting the latest red soles- we want to do and go far. More travel brands are marketing and catering towards our group of digital nomads, which remarkably is leading the way for every generation today. Let’s face it, more than just Millennials would prefer to ride atop an elephant in Sri Lanka, strike a tree pose on the black sand beaches of Iceland, and learn to surf world-class waves at a Nicaraguan retreat. With summer travel upon us, Millennial Magazine is literally duck-diving in, exploring a new travel trend of 2015 – booking a wellness retreat getaway. One might envision monotonous itineraries and food for the birds, although retreats now have much more allure, with experiential travel elements that tick all the boxes for the modern jet-setter. How about learning to ride a wave in an exotic locale capped off by daily power smoothies, hammock surfing, local market shopping, massage, sunset yoga and dinner prepared by a private chef? Count us in. The effortless abilities to catch a wave by legendary surfers seem far-fetched for many, although not with SwellWomen behind the boards. Lulu Agan, Owner of Maui-based, SwellWomen Luxury Surf and Yoga Retreats, spearheads a shot for everyone to learn how to surf while also experiencing an attainable luxury vacation. Agan also a private chef to celebrities, unquestionably has the experiential luxury detail of her retreats fine-tuned. SwellWomen already being a 10-year success story on the island of Maui has led Lulu to recognize the recent shift in the marketplace – travelers are craving a deeper experience. “Millennials are much more health conscious, also seeking unique travel destinations, quite possibly where their friends have not yet been,” says Agan. Never able to truly predict where Millennials may venture next, it’s a sure sign we are paving a path that every traveler will want to journey. Lacy is a freelance travel writer and editor of theexpate.com. Having lived and breathed the luxury hotel industry behind the four seasons brand, travel writing has come naturally. Lacy specializes in luxury with a passion for experiential and adventure travel. She is currently based on the island of Anguilla in the Caribbean, and when not busy beachcombing, Lacy enjoys hiking, exploring and skiing.